Studies show that moderate exercise (walking) on a regular basis (20 minutes or more 4 to 5 times a week) is the best remedy for the middle age spread. So many people immediately think, “I am so busy, how do I fit it in?” One way of doing this would be to clean up your carbon footprint while doing daily errands, and leave some of your very own footprints in your own neighborhood. Greenhouse gas emissions put out by cars contribute significantly to climate change, clean up your act while you trim down your own body’s abundance. Find out just how walkable your residence is using this tool. 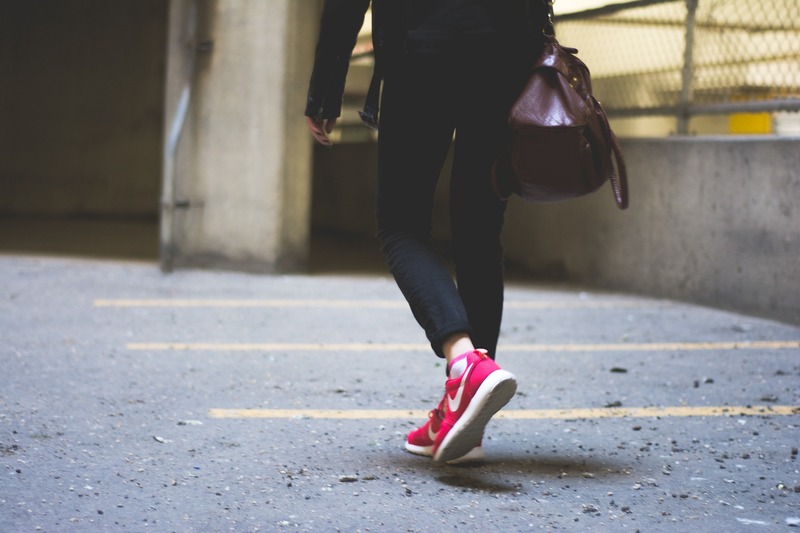 Challenge yourself to business as close to home as possible by walking to the grocery store, the library, the drug store, to public transportation and more. Walking increases your social capital – you meet and greet neighbors you would normally drive right past. If you can’t walk, can you bike from place to place – helps just as well with the stubborn mid-section inches and with reducing your carbon footprint. Is your area totally un-walkable? Get involved in your community to establish a city center where you can park the car once and run all your errands, stop at the park for a picnic and then head back home!